My wife is half Polish, and is a fantastic cook, so I say this will all due caution. The best Polish Food I have ever tasted came from Legs Inn! Legs Inn is a rustic restaurant located at the North end of the Tunnel of Trees in Cross Village Michigan. Built by Stanley Smolak in the 1920s, Legs Inn is run by the third generation of the Smolak family. The setting of Cross Village was chosen by Stanley because it was the area of Michigan that most reminded him of his native homeland of Poland. Even before crossing the threshold, Legs Inn takes you to a place that is part whimsy, part Northern Cabin, part museum, and all charm. 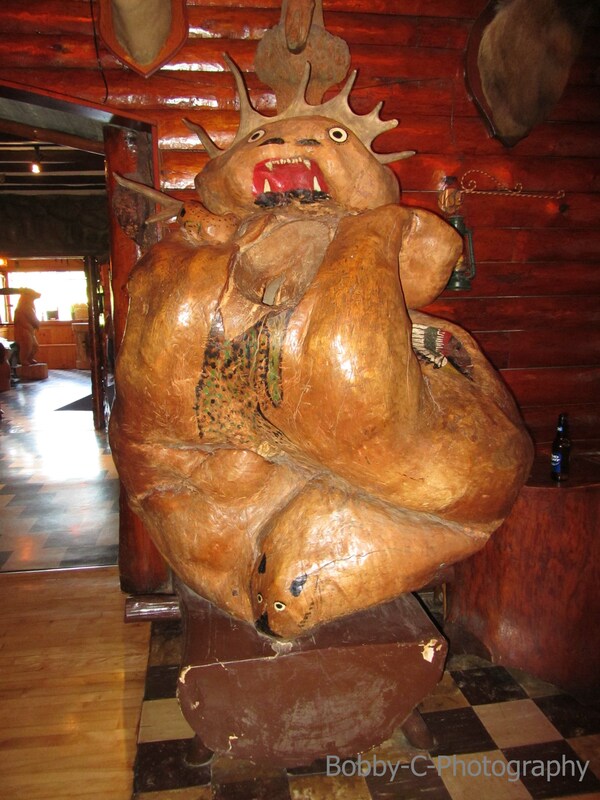 From the stuffed bears, to the intricate Native American art, to the fertility goddess made from the burl of a tree, every inch of Legs Inn has a history of its own. The menu features authentically prepared, old-school Polish recipes. My wife and I both had their “Taste of Poland” plate. It features Golabki (cabbage roll), Keilbasa (Polish Smoked Sausage), old fashioned Polish sauerkraut and Pierogi. For dessert we shared a hearty helping of Polish Berry Szarlotka. This house specialty has a crumble base baked with fresh apples, raspberries, strawberries and blue berries. We had ours A ‘La mode. The charming atmosphere is enhanced by the wait staff. Many of the waitresses are Polish exchange students. Our waitress, Sabina, enthusiastically explained everything we ordered, and took great delight in knowing that we had a terrific experience. The restaurant has seating indoors, including in a bar area. There are also tables on the patio. These tables are set among the carefully manicured gardens, and offer a fantastic view of Lake Michigan. Whether you dine indoors or out, be sure to walk the grounds around the Inn after you are finished with your meal (you will want to burn some of the calories). From the Western end of the lawn, on a clear day, you will have a view to four of Northern Lake Michigan’s lighthouses – Skillagalee Island, Grays Reef, Waugoschance and White Shoal. These four lights are also the names of featured salads on the menu. On your way out, you can also pay a visit to the on-site gift shop. This shop features a few souvenirs of your visit, and also arts and crafts created by local artisans. 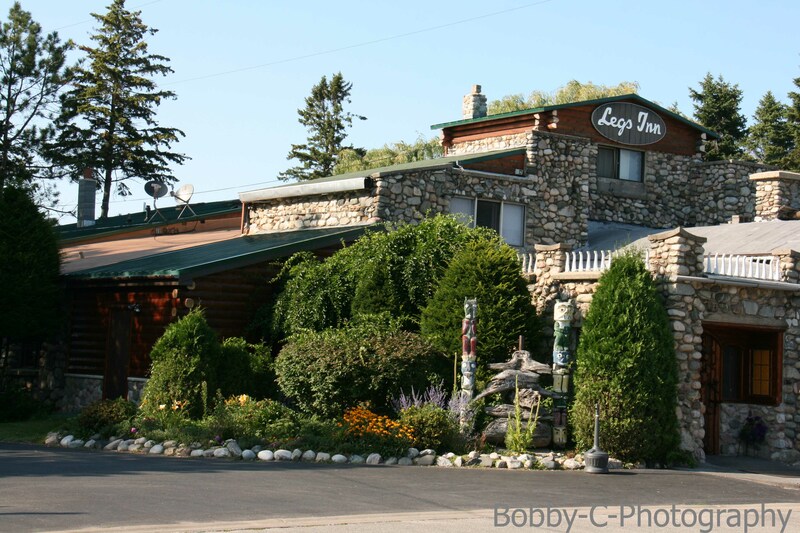 If you are anywhere in the Northern Tip of the Lower Peninsula on your next vacation, and you enjoy authentic Polish cuisine, you must pay a visit to Legs Inn. Bring your appetite, and be prepared for a fantastic experience. They are open daily from noon until 9:00pm. For more information, you can visit the Legs Inn Website. You can also “Like” them on Facebook at the Legs Inn Facebook Page. 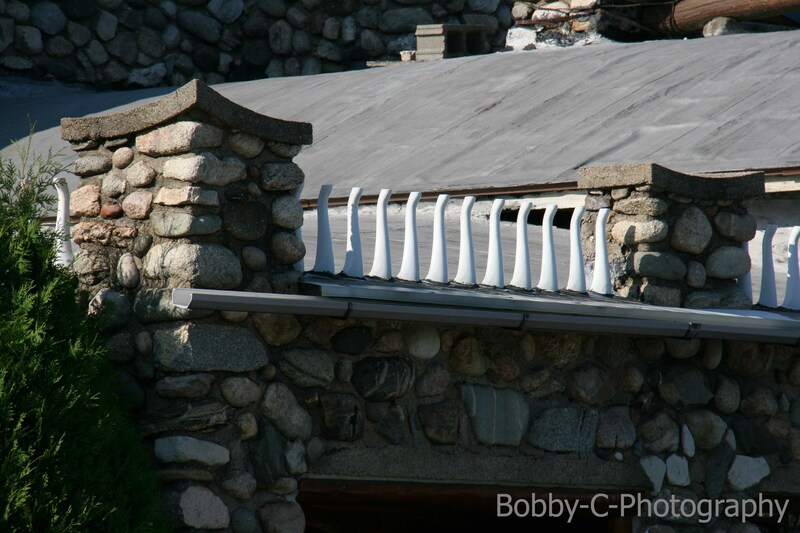 This entry was posted in Travel and Outdoors and tagged bobby-c, cross village michigan, legs inn. Bookmark the permalink.